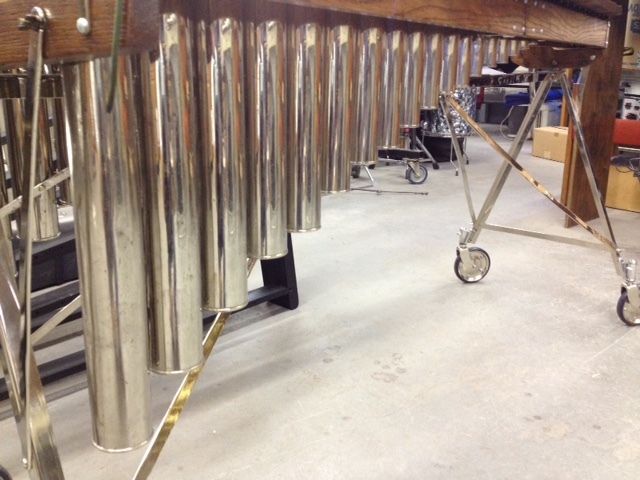 The instrument you are hearing is a Leedy #641 marimba. It was refurbished and tuned by Century Mallets, Chicago, IL. Late in the spring of 2014, I received a phone call from Mike. He had been to Groth Music in Bloomington, MN, and had been talking with the percussion guys Bill and Mark. They recommended that he contact me at MacPhail Center for Music. Although he had been at an auction to buy tools, he had run across a really interesting instrument and he bought it. As a professional contractor/builder he recognized the excellence of the engineering. I also suspect it went pretty cheap! Mike felt he had something, he wasn't quite sure what it was, but he had a sense about it (and perhaps he had recently viewed an episode of Antique Road Show). Here is an example showing the top drawer and how the pieces fit in that tray. Once Mike got it home he started to learn about this instrument and what it was, but more importantly, what it might be worth. In addition to calling various music stores he also called the Percussive Arts Society. After a few conversations, he believed he had a George Hamilton Green Xylophone made by Leedy. Let me tell you why. On the trunk by the latch were 3 initials, As you can see, this is fairly clear. 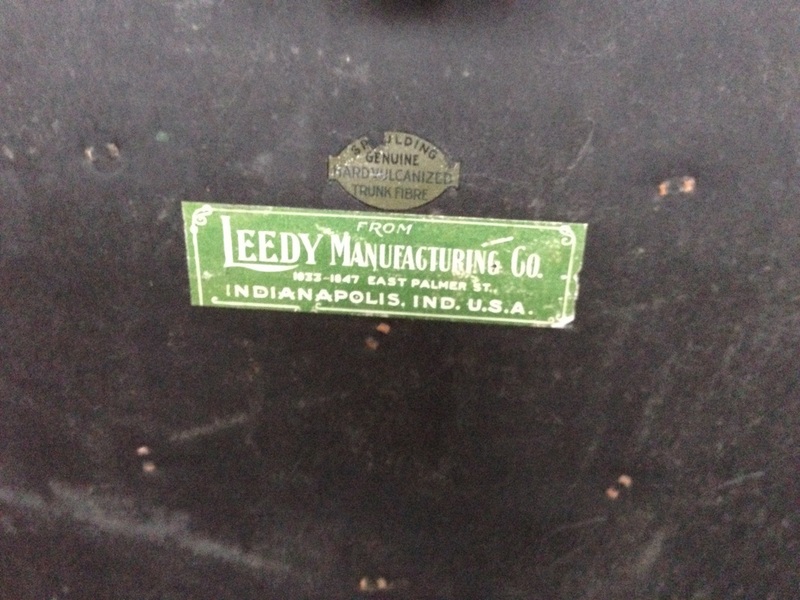 Adding to this proof was the fact that the label for Leedy was green, hence a Green Model instrument. He had taken the time to set this instrument up in advance for my visit and that in itself was a feat of engineering skill. 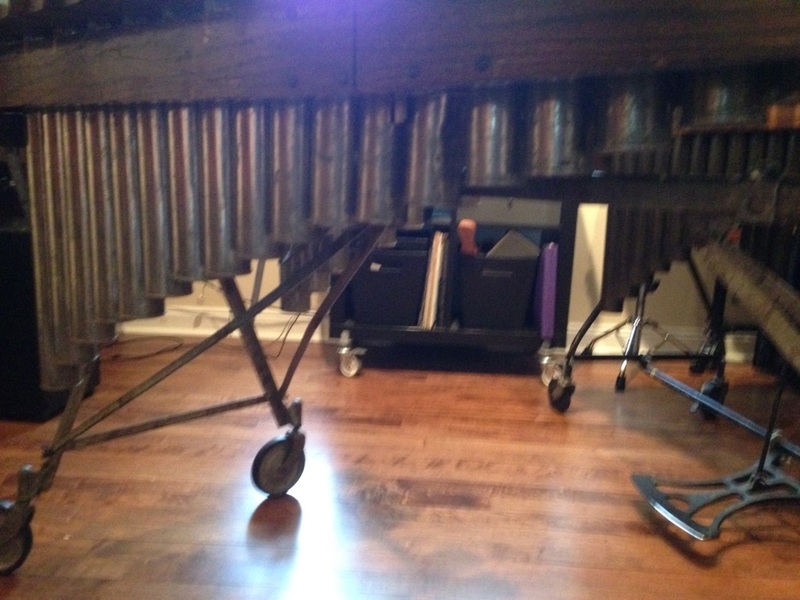 Setting up this frame is not intuitive and as a professional percussionist and owner of a marimba rental company, I found myself scratching my head a few times in the assembly of the instrument after I had purchased it from Mike. I observed that the keyboard had full-sized bars and it had a wonderfully woody tone. It seemed quite mellow and not at all edgy. I played a few pieces. I own a Deagan Xylophone Artist Special #265 as well as a Deagan Drummers Special Xylophone #844, but this was unlike either of these and I was quite motivated to purchase it. The warm, woody, resonate tone, I thought was really special. Well, I contacted him a day later and said I was interested and offered him $500 for the instrument (...ok, maybe a bit low...). My thinking was that it would cost about $2000 for the renovation and when it was all said and done the instrument would be worth $2500 or so. He countered by saying there seemed to be some interest out East (...ahh, he had salesman experience...) and wondered if I could get closer to a $1000? I was simply telling him the truth as I knew it and I was willing to lose the instrument if it didn't go for the amount that I thought it was worth. I upped my offer to $850 cash. He replied the offer was satisfactory and mentioned that he would be in my neck of the woods in the next couple of days and would drop it off. We carried it into my side porch and I have to say that this is a heavy, heavy trunk. I had a recording session coming up in a couple of weeks where I needed a xylophone and thought I would use the Leedy if the tuning wasn't too off. As it turned out the tuning was close enough. 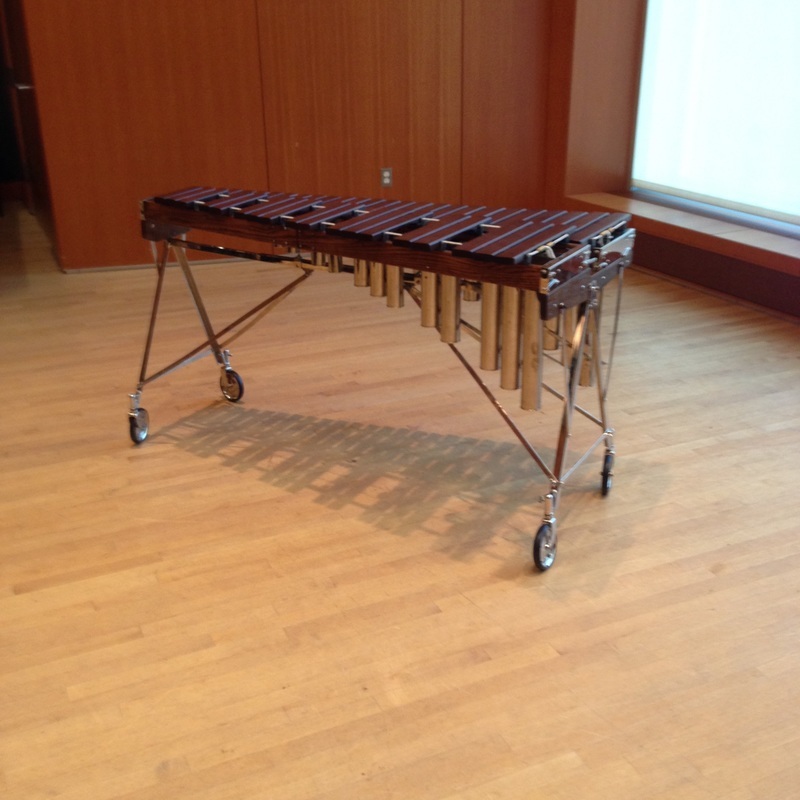 I made this recording using my new xylophone in the studios of Minnesota Public Radio for their Classnote Artists program with the Minnesota Percussion Trio. By now, I am sure some of you realize the slice of humble pie I am about to partake of. Fast forward a year. 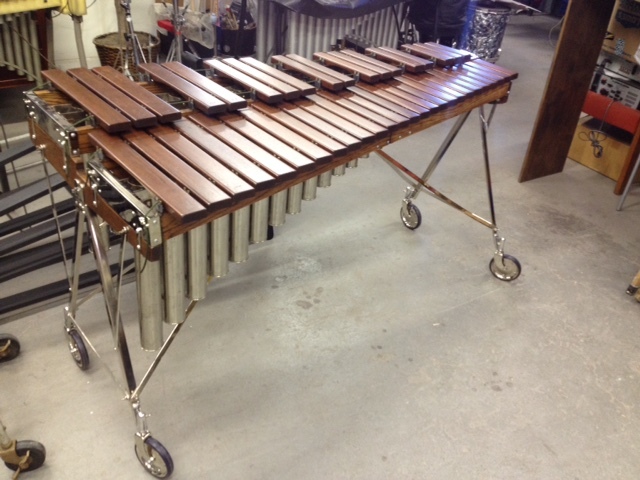 I sent my xylophone off to Century Mallets, I worked out a deal to trade in a couple of other instruments as a partial payment for the refurbishing, and for the record I have to say the quote to have it refurbished was in the neighborhood of what I told Mike it would cost when I purchased from him. So far I was right on the money in all that I thought about this instrument! I finally received the instrument back at the end of July 2015 and it is beautiful, don't you agree? A recent communication from Rob Cook, author of "The Complete History of the Leedy Drum Company" states that this Leedy model #641 was a marimba within the Solo-Tone line of instruments that was first seen in Leedy Catalog I from 1917 and remained through Catalog R of 1928. So yes, I was a little disappointed, I thought I had a vintage xylophone with a pedigree to be envied by my percussion friends. 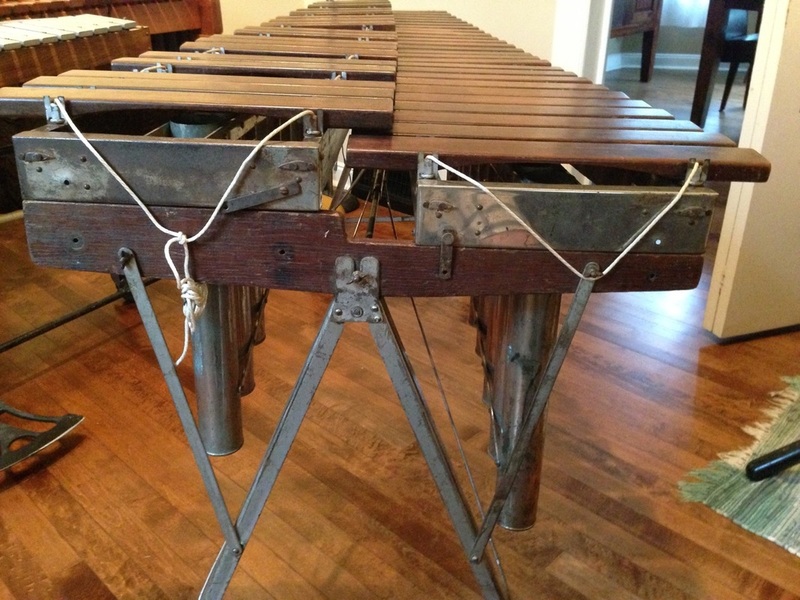 However, I now have a vintage marimba with a pedigree to be envied! Fortunately the music I intended to record for my project said xylophone or marimba and the purchase of a website that said vintage marimba music was not a problem. The more I have learned about Leedy the more I realize this instrument and company have a history that feels as deep and proud as that of Deagan's. I do hope you enjoy the website. I also hope that you might be inspired to search out vintage mallet music and celebrate that music with your friends and students on your own "Red '63 Mustang convertible"!